Is there any food more satisfying than the French fry? If you live in New Jersey, you’re likely to agree this staple side dish is nothing short of perfection. No matter how you like them, be it salty or cheesy, fat fries or skinny fries, traditional or artfully crafted, these 10 best places for French fries in New Jersey don’t disappoint. Part of the family-fun haven known as JiLLY’S, these boardwalk fries are sheer nirvana. Crispy, golden, and piping hot, you might just make a whole meal out of ‘em. They also have a variety if dipping sauces to take your French fry game to a whole new level. 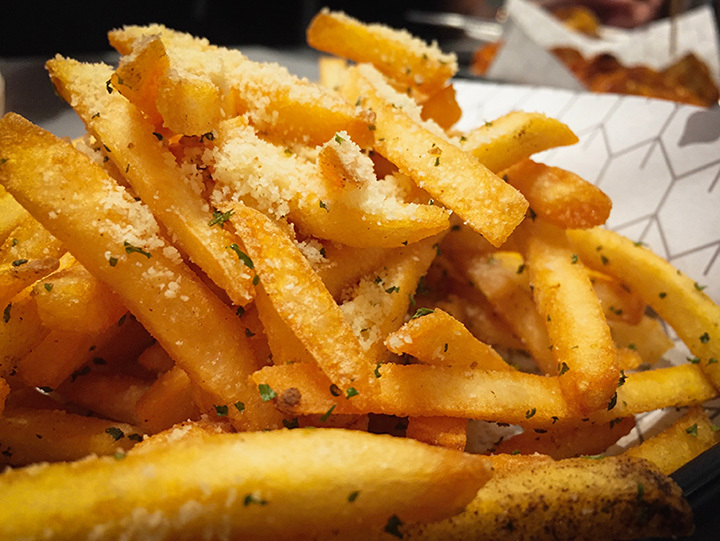 Every true French fry lover knows that food trucks have the best, so it’s no surprise that Callahan’s knows how to dish them out right (PS - they also have a storefront so you can sit down and savor their French fry goodness). Fans flock here for an out of this world French fry experience unlike any you’ve ever tried. Choose your style, then add extras like gravy, cheese, bacon, stuffing, cranberry sauce, cinnamon roll-style toppings, and more. Their Disco fries are arguably the best in the state. Perfectly fried French fries are topped with mozzarella and gravy and served in epic proportions. It honestly doesn’t get any better than this. Their name sets the stage for the fries you’ll find within, and it’s lux all the way. Their pot roast cheese fries are a meal in itself, offering fresh, succulent pot roast and melty cheese in every bite. It’s on their small plates menu, but don’t be fooled—there’s plenty to share (but it’s so good you might want to keep it all for yourself). This Italian deli and hometown diner is known for a lot of things, but their waffle fries shouldn’t be overlooked. You can get ‘em plain, but most visitors opt for the fully loaded version, complete with cheese, bacon, and sour cream—just like a fried baked potato! Fans also love coming here for the Disco fries, another must-try! This multi-location New Jersey eatery isn’t just famous for their hot dogs. People flock from miles around just to grab a fresh, hot order of their award-winning cheese fries. Crinkle cut fries are draped in a special Cheez Whiz sauce for a combination your taste buds won’t forget. French fries aren’t just for fast food, and this place proves it. They’ve refined the art of the Fry, turning typical potatoes into truffle creations worthy of any meal. Fancy fries never tasted better. Is there a wrong way to do French fries? The folks here might be quick to say no. They offer a variety of twists on this classic side dish, including truffle fries, pecorino fries, and their hot, heavenly sriracha fries. At first glance, they might not look extraordinary, but the people have spoken. Locals and tourists alike can’t get enough of these world-famous fries. Top your potatoes with sea salt, Old Bay, or other seasonings to craft your ideal flavor. Korean fare meets authentic Texas barbecue for one of the most unique eateries in the city. But the fun doesn’t end there: their kimchi fries are arguably one of the most bizarrely tasty things to happen in American cuisine. They have tons more fun with fries, including their brisket fries that you just have to try for yourself to know what a treasure they are.